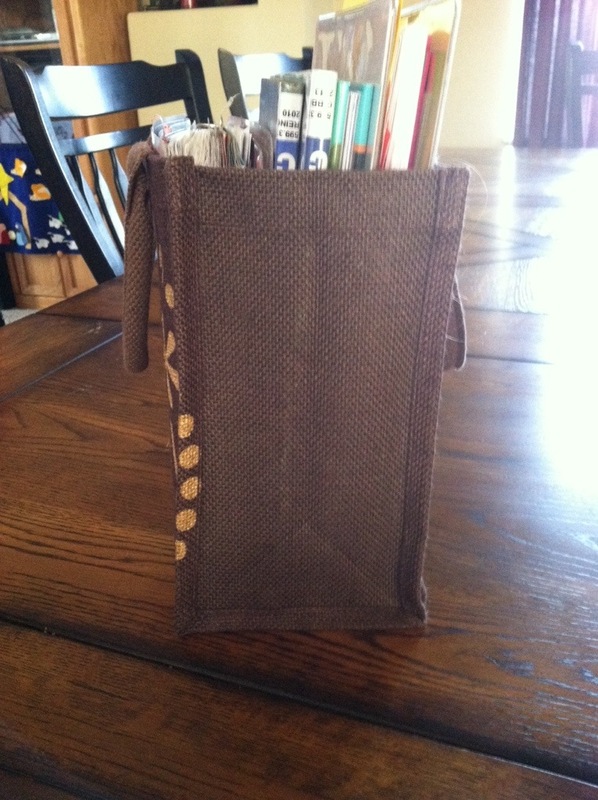 I ordered my own brown bag so I could see it in person! I like this little thing. It seems tough and sturdy and durable. It does remind me of burlap so it’s not exactly a sleek or refined type of item. It sits upright on its own and it holds its shape without sagging or falling over or bending. I jammed all of these books in it before heading to the library. I was delighted to discover that it would hold a regular 3-ring binder. This opens up tons of possibilities with this bag. 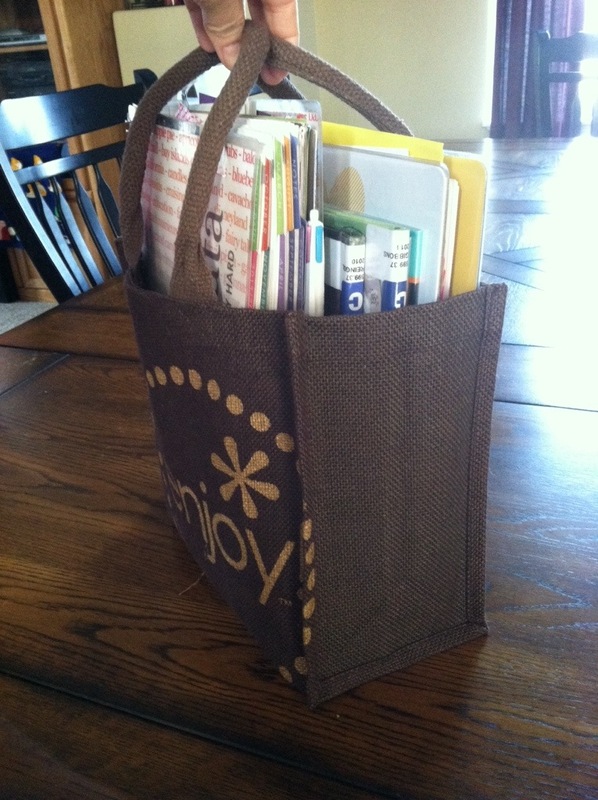 This is the small gift bag, so I wasn’t expecting it to hold numerous things, but it easily carried the 3-ring binder, 3 library books that I needed to return, and my planner and my phone. With all of those things in the bag, it did not fall over, but just sat there waiting for me to grab it and run out the door! At the last-minute, I threw in my wallet as well, and tucked it under the planner. 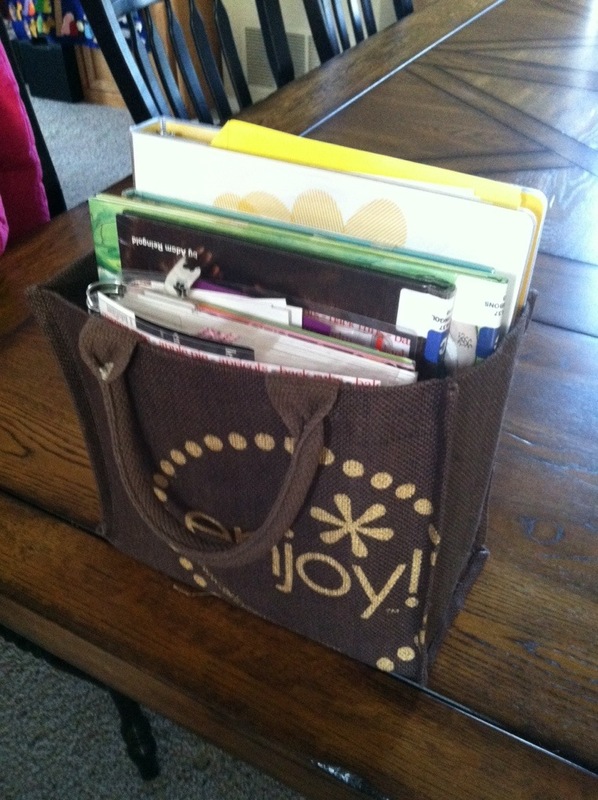 Everything still fit and I could grab the handles comfortably to carry it out to my car! 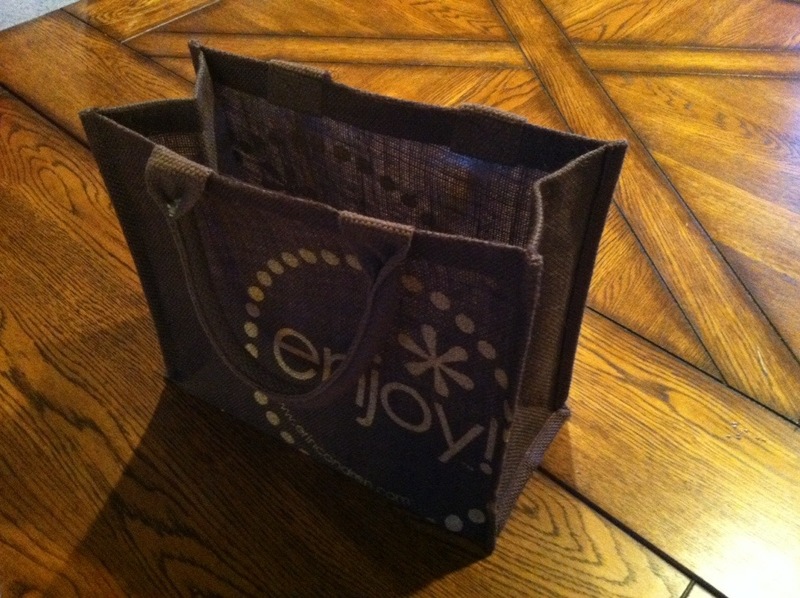 I think this bag will hold up to a lot of wear and tear. It is probably not going to show smudges or scratches. 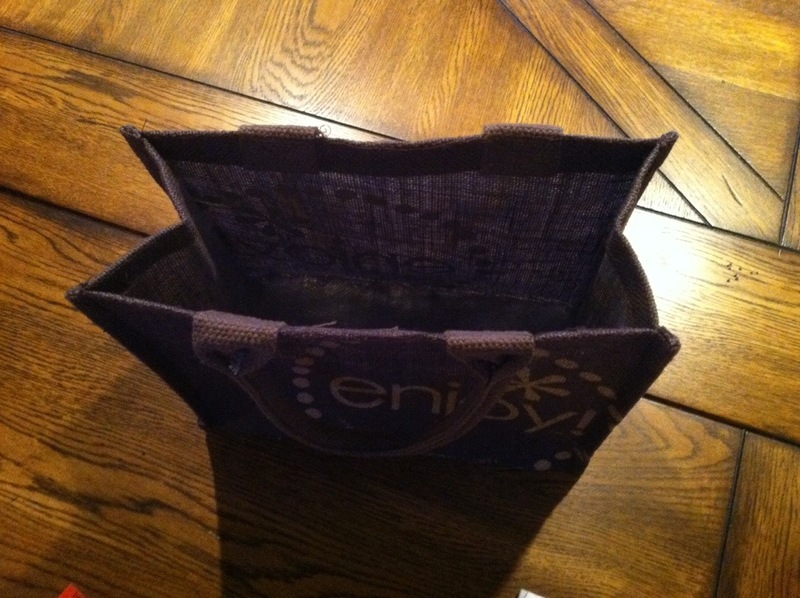 I think it’s a great little bag and I’m glad I bought one for myself! I am in Event Sticker heaven! I just love my event stickers and use them all the time in my planner! I love all the colors and love using them to motivate me to complete certain tasks! I put reminders to call my family members, and mark down when I do a special mall/shopping day with my daughter! I have stickers for club meetings for my son, and library days, and menu planning! I mark my Flylady zones and keep track of all the movies we watch (mostly because I think we watch too many of them, and I’m about to order stickers for books I’ve read, as I think it would be much better to have more “book” stickers than “movie” stickers)!! I have them color coded and at a glance, I know exactly what needs to happen!! My planner evolves each week, with all the most important things placed on the pages first!! I am trying really hard this year to get our finances in order, so am marking each bill due with a green Pay Bills sticker with the business and amount (I have a whole entire sheet of these on order because I already ran out). I love tiny check boxes, and use a fine black Sharpie to write on the stickers. I have stickers for each family member, in “their” color, so all appointments, or anything that pertains directly to that person is marked with their color of sticker! I have ordered stickers for each of my blogs so I can be sure to do my weekly blog posts, and not forget to make those happen on time!! And I’m going to also order black stickers with the word “Piano” on it, so I can record when I practice/play/enjoy the piano, one of my favorite hobbies!! I want to be able to look back at my year and see the things I did just for me (piano time), to know that I not only invested in my family and their happiness, but I took care of myself as well, and did things that brought joy into my own life!! The event stickers come in 35 different colors, and I love having a rainbow of them in my planner! The words don’t show up very well on the colors Pear, Butter, Lemon, or Light Blue. If you want to write on your sticker with a black Sharpie, the writing doesn’t show on Chocolate, Black, Navy, Charcoal, or Mocha very well! 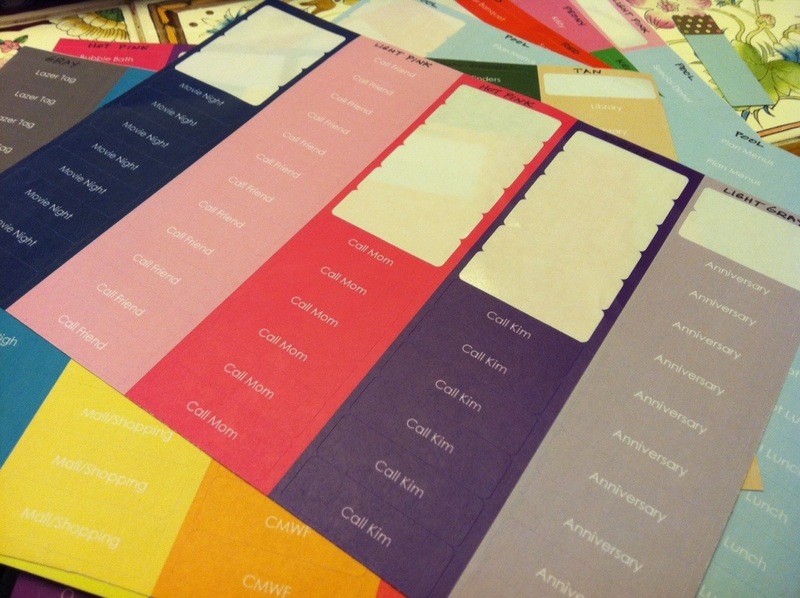 If you want to order stickers that match each of the month’s colors, be sure to check out my Color of the Months blog post, to find out exactly which colors to choose for your event stickers! And if this isn’t enough, I’ve got stickers ordered for my 3 Blogs, Piano Time (black), a few more specific bills (green), Attack Clutter (lavender), Pay Bills (green), and I’m always trying to think of more, especially those that will motivate me to accomplish something or develop a needed habit, like reading more books, or some type of exercise, or some type of cleaning routine! If you haven’t tried the Event Stickers yet, go for it! It’s an easy way to bring color into your planner pages, and a great way to color code, set goals for yourself, and bring some variety into your days! I know many people like to color coordinate the event stickers with each month. 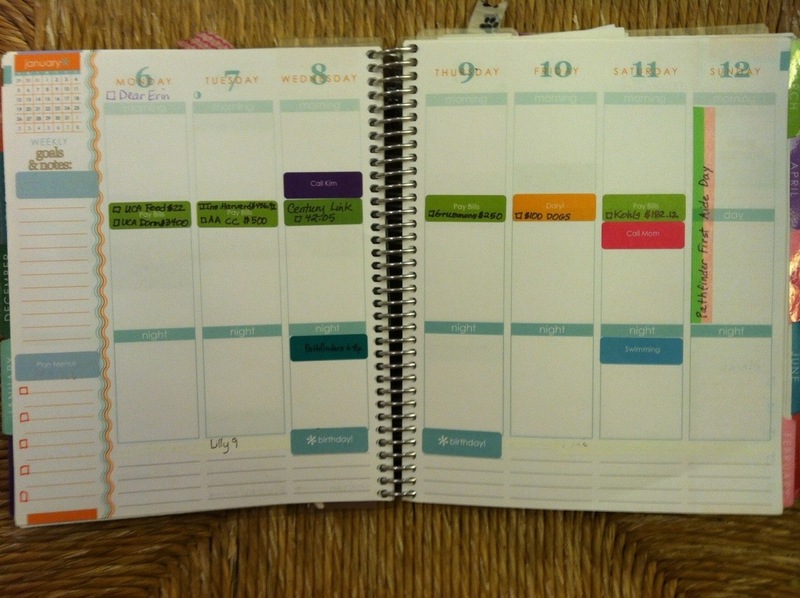 This offers a more uniform look to the planner, something that is appealing to many. Each month has a great duo of color! You can order Event Stickers to match your months!! 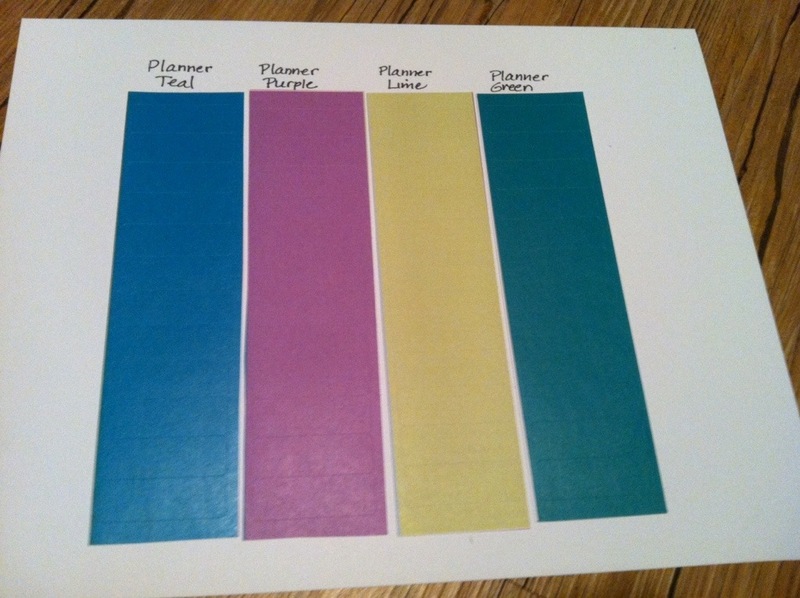 When ordering Custom Event Stickers to match the months, please remember that “Planner Green” and “Planner Purple” are not available in the Custom Event Sticker color choices. 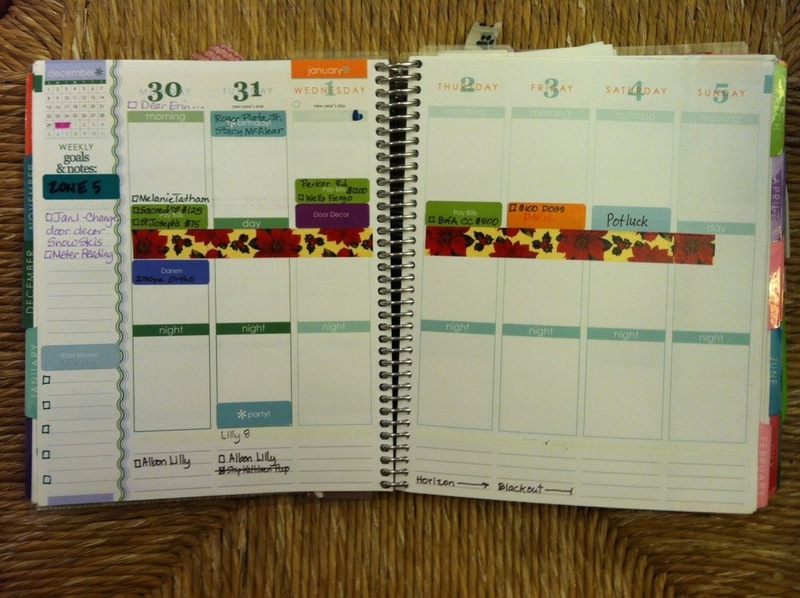 For those months, you would need to choose the other color in the monthly color duo, or use the blank stickers that came with your Life Planner or Notebook. One of my favorite items available for the Planners and Notebooks is the blank colored stickers. I have stacks of them waiting to designate that special event, day, or activity. Every Life Planner and Notebooks with the monthly calendar pages come with 2 pages of pre-printed events, as well as 2 pages of blank stickers. Let’s talk about the blank stickers. 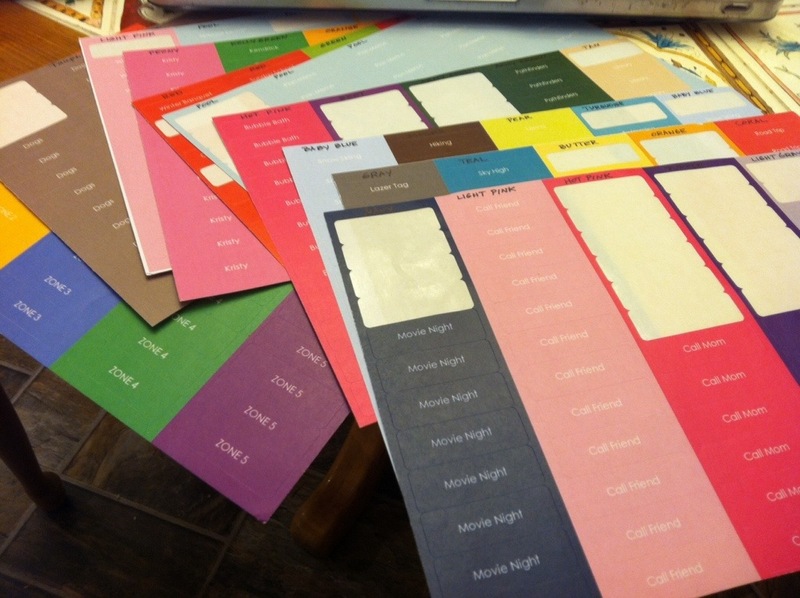 There are 10 different colors of blank stickers, 5 on each sheet. I don’t know the order they are in, because I had already removed these and cut them apart before deciding to do this post. I am grouping the photos into two different groups like this… (please remember colors vary according to lighting when the photo is taken as well as the way a monitor displays the colors). The reason they are grouped like this is because the first six strips of color have actual names available on the Erin Condren website. These colors can be selected when you order Custom Event Stickers. This next group of stickers don’t have names. 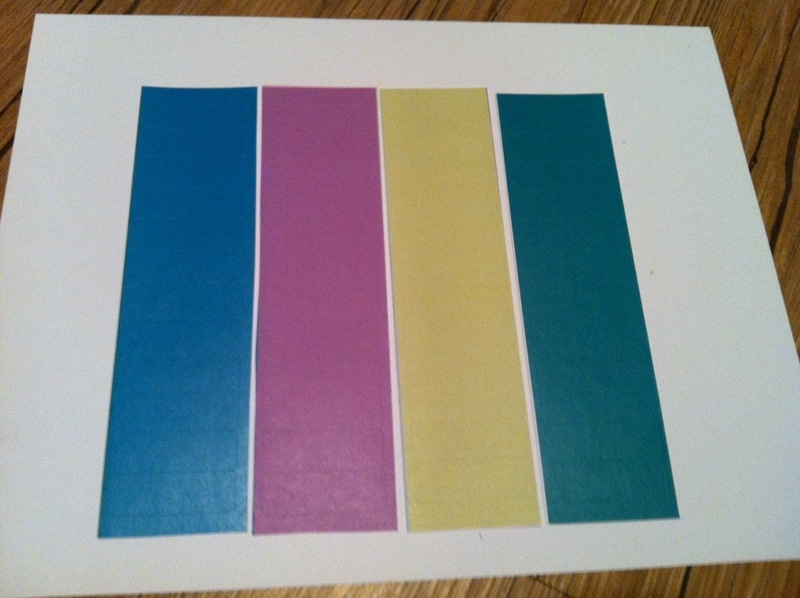 I have ordered every color of sticker available on the EC website, and these 4 colors are not part of what I received. They come in every Life Planner, but they don’t match any of the color choices on the EC website. I have given them my own names, for now, but I will be checking with EC to see if they actually do have names for these colors (I’m sure they do). When I find out what they are, or if anyone already knows, I will be sure to post about it here on the blog. These colors are close to the Custom Event Sticker colors, but they are not an exact match, and cannot be ordered for Custom Event Stickers. The Planner Lime is very close to the regular Lime color, but it isn’t quite a match. The Planner Purple is a most lovely purple color, and I really wish they had this one available to order, but they don’t. The Planner Teal and the Teal on the website, are close, but again, not an exact match, and the Planner Green is quite a bit darker than Kelly Green, but not as dark as Army Green. 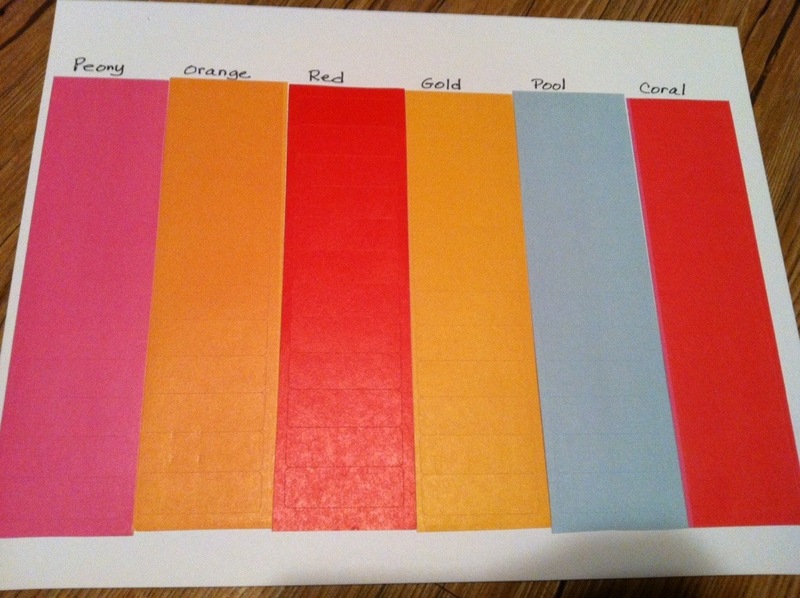 In the next blog post, I will be showing which colors match each calendar month. Most of the colors are available if you want to order Custom Event Stickers that match your months, but a couple of the months actually use a few of the 4 colors above that are not available for custom ordering. I love finding unique color combinations that WORK, and this is definitely one of them! Thank you to Jennifer for sharing her planner cover with us! 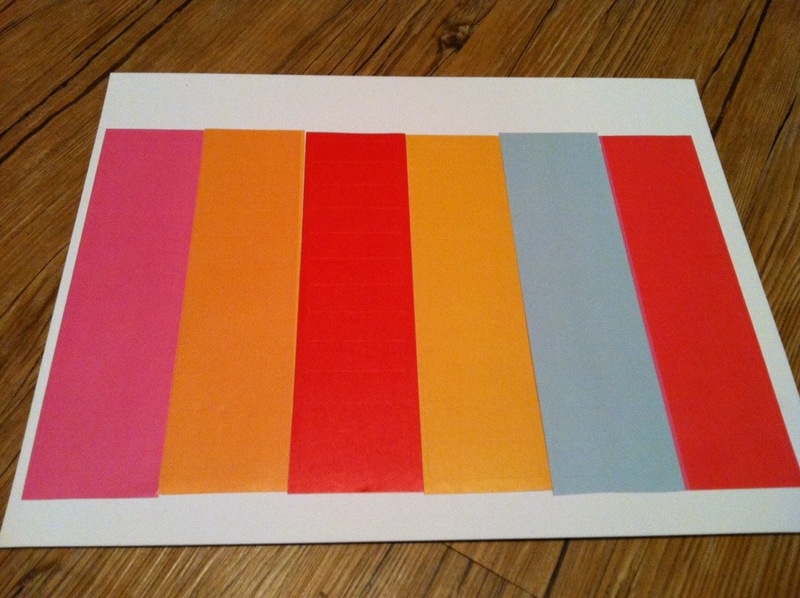 …The colors I picked were turquoise for the background and hot pink for the design. At the time, I didn’t know that you could change the font and I just went with the one that came with the planner. In hindsight I wish I would have done a cursive, but I still love it. I picked these colors to match my company colors with Origami Owl. (I am an Independent Designer with the company). Feel free to check out Jennifer’s Origami Owl site by clicking on her planner photo! Thanks again Jennifer for sharing your vibrant cover with us! I think it looks fantastic!! My FAVORITE Cover So Far!! All of the credit goes to Shea Johnson. She designed this, and it came out perfectly!! 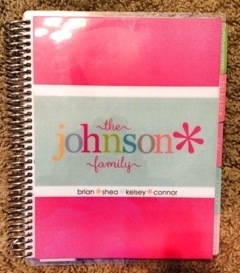 I think it should become a planner choice on the Erin Condren website when they roll out their new designs in June. I believe 1000’s of this cover would sell because it is that cute and yet classy, cheerful, playful, and just very pleasing to the eye! Thank you so much Shea for letting me show this to the world! I absolutely LOVE it!! She asked for the outer stripes to be Hot Pink, and the middle stripe to be Pool. 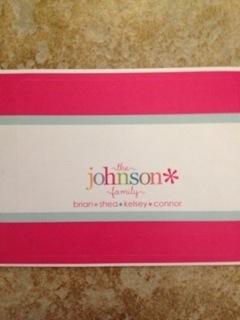 The personalization was “the johnson family” on Line 1, and the names of her family members with asterisks between each one on line 2. The absolute beauty is that EC did everything EXACTLY as she had asked, on the first try, and it definitely is as cute as she thought it would be. I have spoken with Shea and she says she would be honored if people ordered this design for themselves…she loves it so much she would be happy for others to share in that same joy! Now, that is such a beautiful spirit. Thank you Shea! 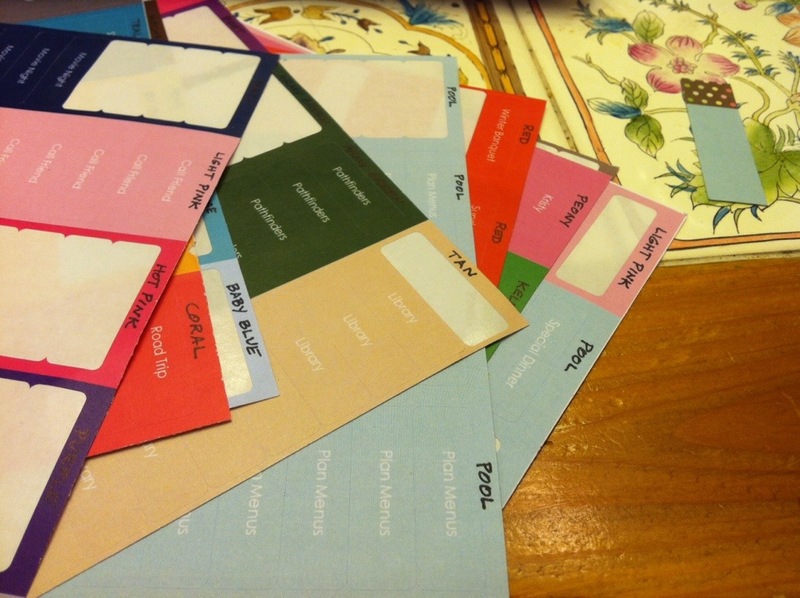 She also shared a photo of the free labels that came with it. Be still my heart! !